Ten bucks gets you the chance to win an amazing vacation package from the Hotel Banyan Tree Mayakoba on Mexico’s Riviera Maya coast! Yup. When you head over to the Passports with Purpose site, you can donate as little as $10 or as much as your piggy bank will allow. But for every $10 donation, you have one chance to win a prize. The more Alexander Hamiltons you drop, the greater your chance of winning AND the greater the chance that we will hit this year’s goal of raising $100,000 to build five water wells in Haiti through Water.org. 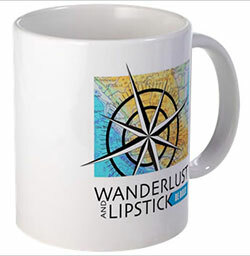 Passports with Purpose is the annual travel bloggers’ fundraiser. (I talk about it more here.) Each year we raise money to fund a project somewhere in the world. We’ve built a school in rural Cambodia, built 25 homes in Southern India and last year we raised funds to build 2 libraries in Zambia (if you haven’t clicked on that Zambia link yet, do so now. Please.). With generous support from sponsors AND, more importantly, donors like you – each year we’ve blown past our goal. The majority of money comes from those $10 donations. And this year we hope you’ll help us raise more than $100,000 for those water wells. Water. It’s what everyone needs, you know? Each participating blogger (we expect nearly 200 this year) hosts a prize on her/his site. This year, I worked with the folks at Expedia (also our Platinum sponsor) who managed to come up with a pretty spectacular prize for me to host. It’s the kind of prize that makes me wince knowing that I can’t participate in the fundraiser myself. We bloggers then encourage our readers to check out the entire list of prizes, pick at least one (but we hope a lot more than that) that you’d like to win, and start donating in $10 increments. Every $10 gets you another chance, whether you want to bid once on several items or multiple times on one item. So… my prize this year is a five-night stay in a Garden Private Pool Villa for two people at the luxury resort, Banyan Tree Mayakoba. No, I haven’t actually stayed there myself but it’s just the kind of place that I would love to treat myself to some day. 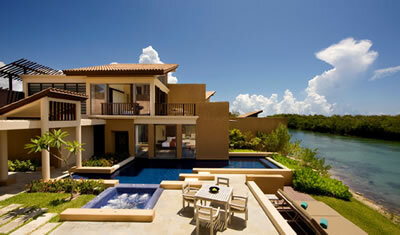 The Banyan Tree Mayakoba is situated along the Riviera Maya coast (home to the second largest coral reef in the world). 40 minutes from the Cancun Airport, the property is surrounded by dunes, mangroves and freshwater lagoons and home to numerous indigenous fish and birds. The villas also feature outdoor dining areas, a spacious bathroom and a private landscaped garden. There’s also an outdoor bathtub, private swimming pool, and lounger on the outdoor terrace. 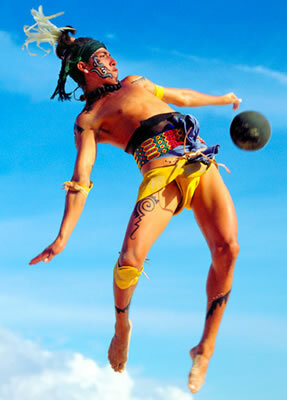 The winner will also receive a one-day (Basic) pass for two people to Xcaret Park. Xcaret is a natural park that includes underground rivers, natural pools and a number of other attractions including the first Butterfly Pavilion in Mexico, a Coral Reef Aquarium (one of the few places in the world where reef structures can be seen in their natural habitat) and a nursery for regional fauna. Xcaret also features festivals and ceremonies that have been designated an Intangible Cultural Heritage of Humanity by UNESCO. Approximate value for this entire package is $3,375. 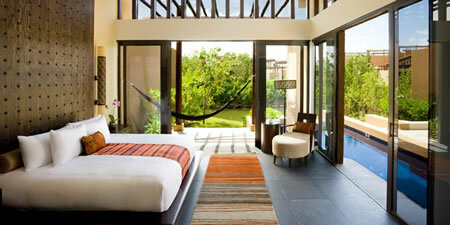 The stay at Banyan Tree Mayakoba includes room only, is subject to availability, blackout dates and restrictions. Winner must be at least 21 years of age. Stay must be between November 30, 2012 through December 20 2012 or January 5 through June 30, 2013. The Xcaret pass is not valid on Mexican National Holidays. Other blackout dates may apply – please check with Xcaret for details. OK – here’s that link again to go check out the list of prizes available. Thanks for sharing this – What a great prize and a great cause! Tons of great prizes on this years event!